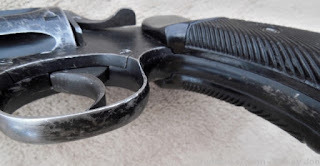 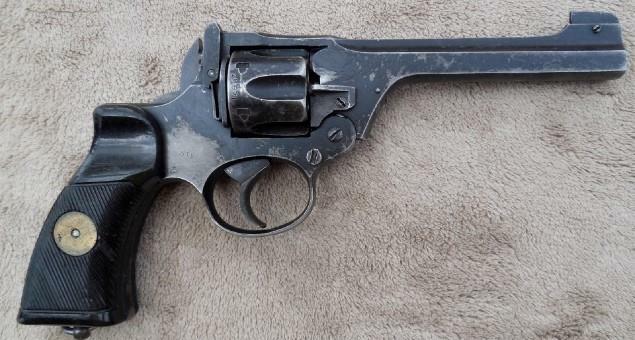 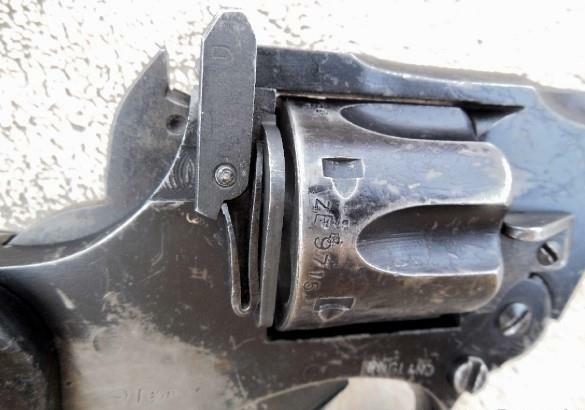 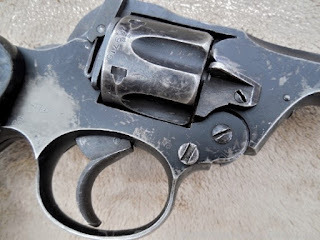 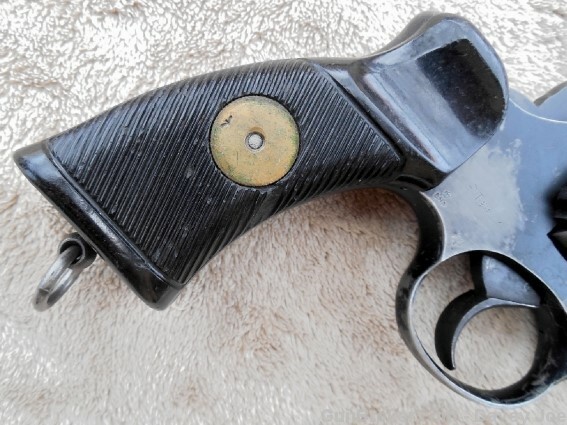 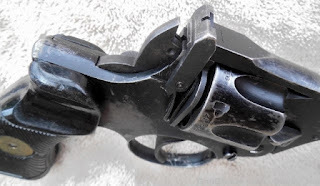 Here is a nice example of a WWII Enfield Revolver made for both tank crew operators and pilots due to the bobbed hammer. 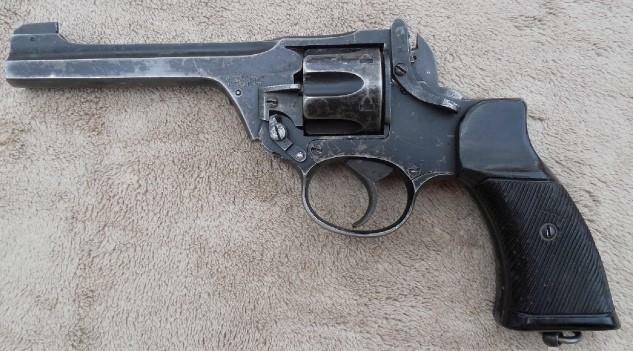 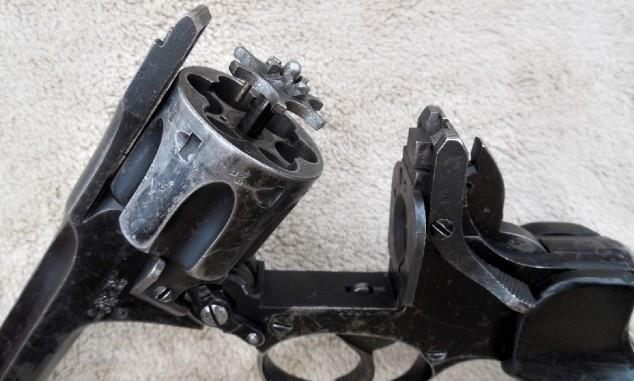 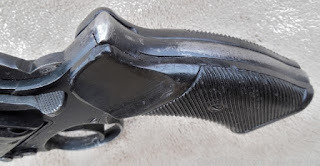 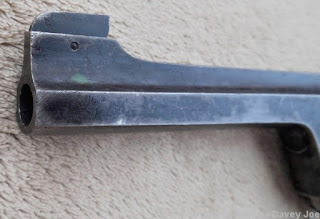 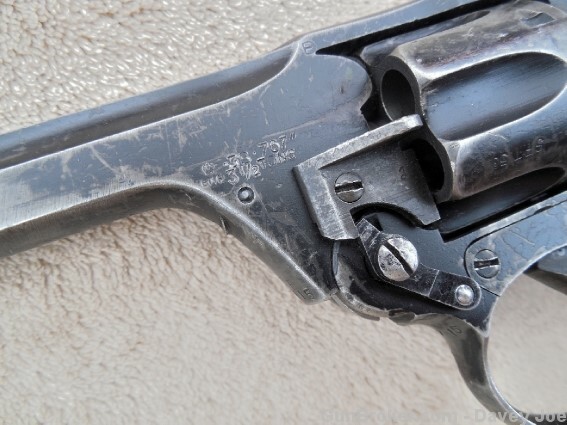 This on is in good to very good condition and has a 5" barrel with a bright shiny bore. 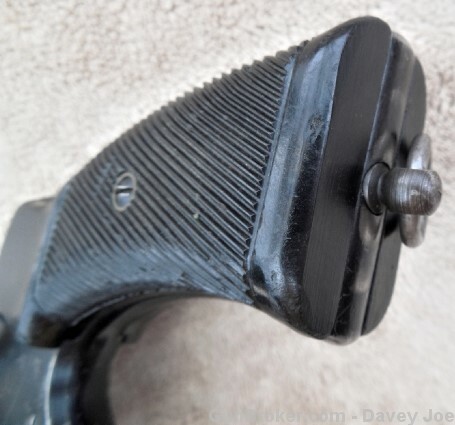 The action is smooth and the lockup is tight and this shows the typical wear to the British paint finish and every thing seems to be original with matching serials.